Promotional satchels are popular at trade shows and events. What better way to showcase your brand during tradeshows and conferences than with handy branded conference satchels. 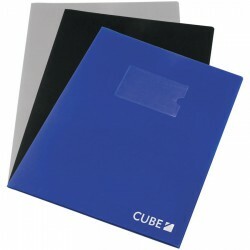 At Promotional Product Experts, we offer custom folders, organisers and portfolios which are convenient carry cases for all event-related paraphernalia. 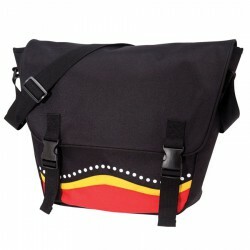 We also have printed satchels and messenger bags for full organisation. Customise with brand logo or name to boost brand recall. Made from 600D Polyester. 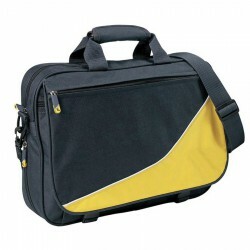 Zippered main compartment and easy-access front pocket with pen loop and D-ring. 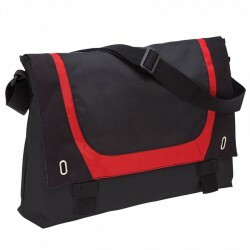 Features: Adjustable shoulder strap and two carry handles. Pen not included. A great upmarket conference bag with PU panels, drink bottle and phone holders. Made from microfiber with PU panels. 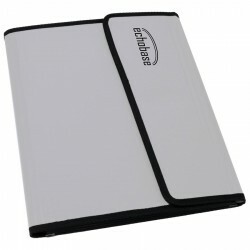 Features: include double zipper opening, outside zippered pocket and business card holder on the back. Adjustable shoulder strap with drink bottle holder and handy mobile phone on each side of the bag. Practical conference bag made from microfiber with grey PU trimming. Supplied with ID pocket and side mesh pocket to hold your drink bottle Features: Features top opening zippered compartment, zippered outside pocket, pen loops, mesh pocket to hold drink bottle, business card holder on back, double carry handles and adjustable shoulder straps. The office companion. Blue badge holder with metal carabineer hook and retractable cord. 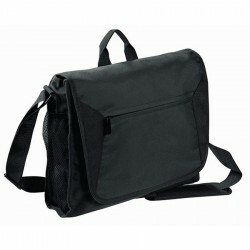 Features: include pull reel with 24'' nylon cord and vinyl strap. 600D/420D fabric. Front flap with webbing tab closure. Decorative feature metal eyelets. Adjustable, webbing shoulder strap. Business card holder on rear. 4 wet and 4 dry sachets for cleaning LCD, TFT and Plasma screens, glass and plastic surfaces, packed in a plastic pouch.